Home » Blog » Broderick’s Discover Yes! 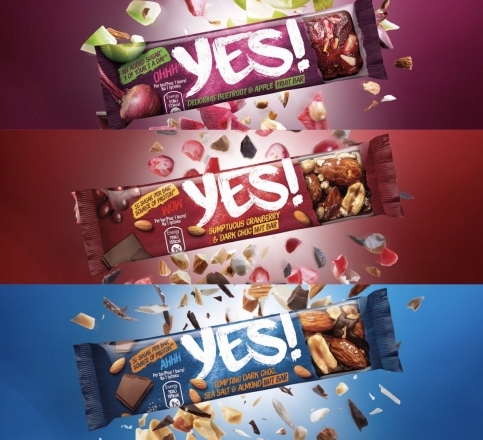 New from Nestlé: Broderick’s introduce new wholesome Yes! snacks in the vending machines. You won’t find them in any other vending machine around! Four of the bars are high in fibre with the lemon, quinoa and chilli bar being a source of fibre. The full range is also gluten free and suitable for vegetarians while both fruit and vegetable bars are also suitable for vegans. The coffee, cherry & dark chocolate and sea salt, dark choc & almond bars contain 189 calories per bar, whilst the cranberry and dark choc bar contains 183 calories. The fruit and vegetable bars have 118 (Lemon, Quinoa & Chilli) and 123 (Beetroot & Apple) calories. The range contains no artificial sweeteners, flavours, colours or preservatives. Don’t leave your snacking to last resort!